According to the National Weather Service, Boston set a new record this past week for the most snow in a seven-day period: 40.2 inches. The average annual snowfall is 47 inches. We managed to fly in and out between the two blizzards. Despite the snow and cold, we wandered walked briskly around Boston Common which is approximately 50 acres and is the oldest park in the United States. 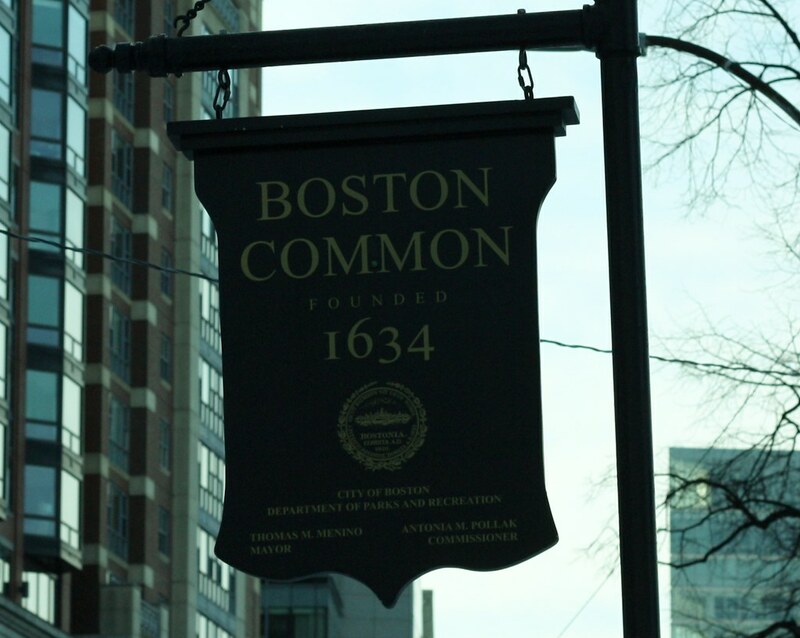 Boston Common is the starting point of the Freedom Trail (a 2-mile walk with historic markers explaining the history of each stop). Due to the cold, we only managed the sites around the Common. The tour is self guided or arrangements can be made with a tour guide. 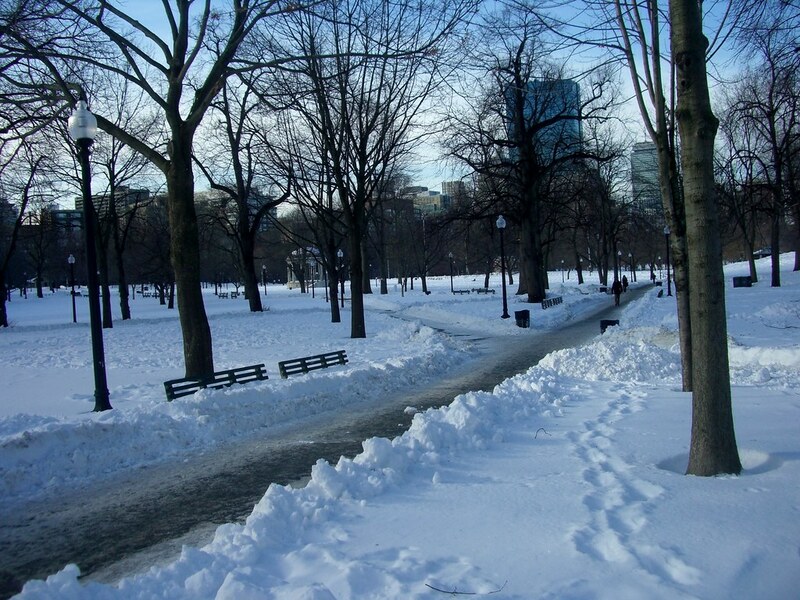 In the winter, Boston Common is used for ice skating and letting your dog romp through the snow. I imagine in the summer it’s a lovely gathering place for lovers of the outdoors. British troops used the Common as a campsite prior to the Revolution and was the departure point when they left to confront the colonist at Lexington & Concord in April 1775. Many activists have given speeches in the Common including Martin Luther King Jr. Many of our Founding Fathers, Presidents, Vice Presidents and other historic figures have walked through this park. I kept imagining John Adams, Sam Adams, Paul Revere and John Hancock wandering around the area. 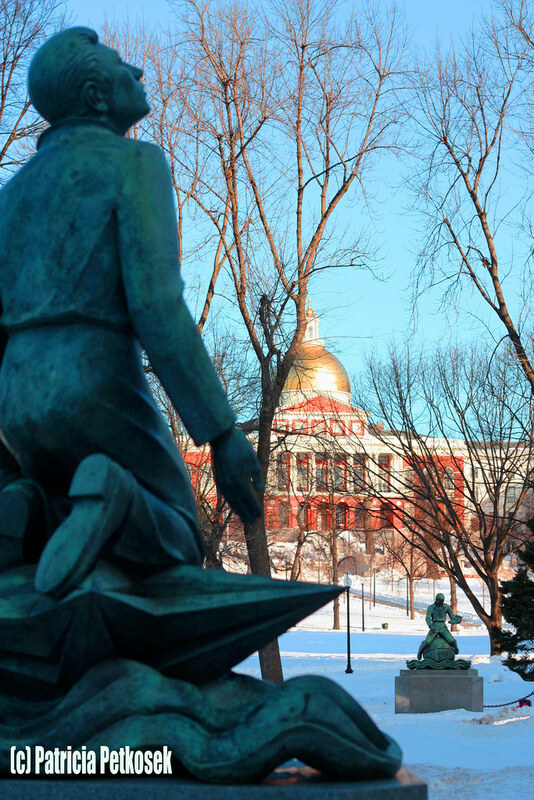 The Massachusetts State House was built on Beacon Hill which sits across from the park. 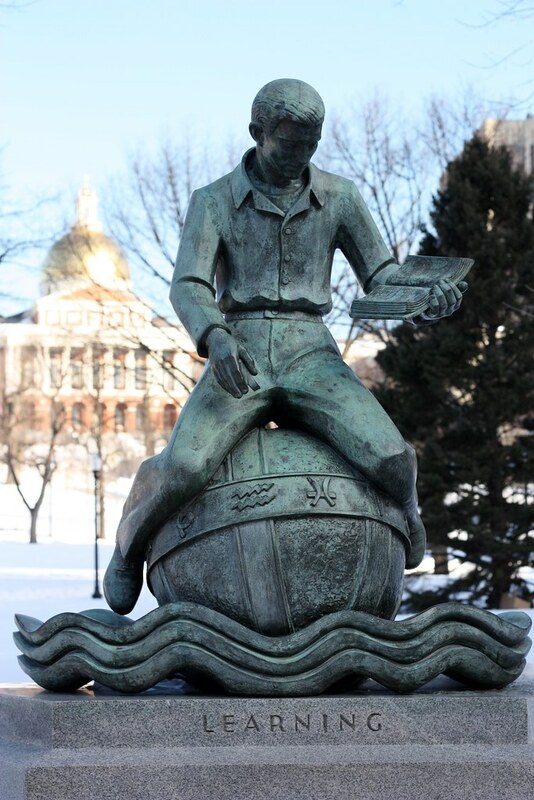 The land was originally owned by John Hancock (first to sign the Declaration of Independence and the first elected governor of Massachusetts). The beautiful, bright dome is made of copper and 24k gold. I can’t decide which angle I like best! 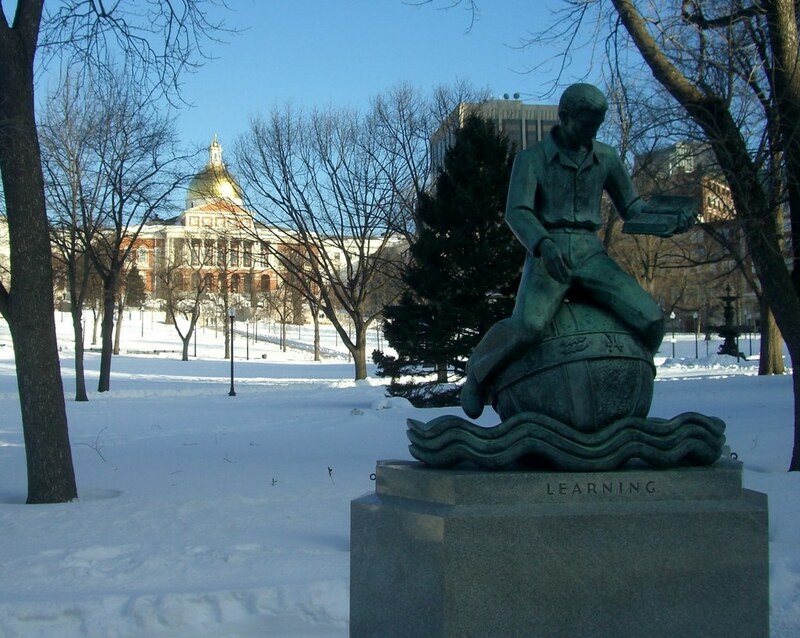 With so many colleges and universities in the Boston area, the Learning statue is very appropriate. Love the Boston common! And the public gardens, although they are both much better in the spring! We’re already planning a return visit to Boston during warmer temps. One big positive of traveling during winter is there are no crowds.